In the world today, everything crosses borders, from news to websites. Apps, mobile phone applications, get shared worldwide in minutes. But there’s a problem: Your app can’t talk to the people you want to use it. The fastest way to let your app, and all the hard work that went into it, wither on the vine is to only have you app available in just one language. You might not care if the language that it’s in is a large one, like English, Arabic, or Mandarin, but if you wrote your app in a less widespread language, you might be limiting your reach. Getting your app translated into multiple languages can increase your market and your market share. You might be able to grow your market from a few million to a few billion just by adding new languages. Localization is a term that is more precise for the needs of an app designer. 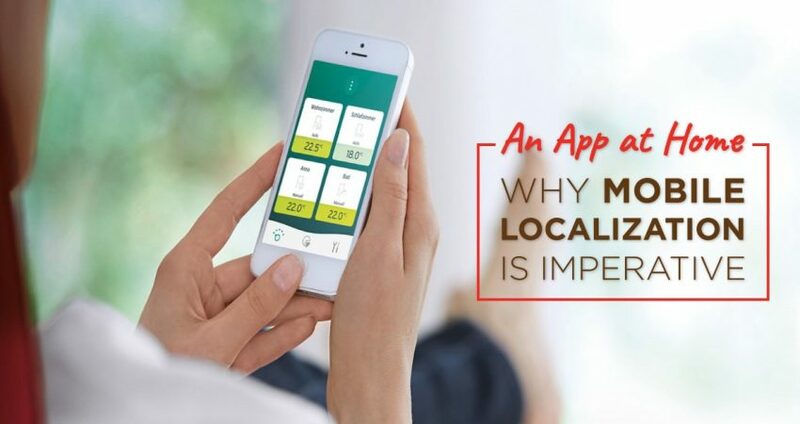 By having your app localized, it is able to appear native. Cultural references can be adjusted, every item on the app can become part of the new locale, and the app will feel more comfortable to the end users. Translation, as in the kind that is often done by machines, doesn’t offer the subtlety that a native speaker is able to bring to the project. It’s not just words, but the feel and structure of an app that might need to be adjusted and addresses. For example, if the language changes from a left to right to a right to left language, there might be structural changes that need to be addressed to make the app feel natural. The trick to getting your app translated, or localized, is having a professional how can make each part of the app appear native. While it’s rarely evident after all the work is done, there are dozens of error screens, small bits of text and other places where the language and structure needs to be addressed and corrected. Firstly, don’t use a machine to translate your app. While this might seem simple and inexpensive, a machine is not going to be able to handle all of the structural changes that are needed to make the native and natural. Secondly, you will want to look for a localization company with experience and with the native translators and staff to be able to ensure that every aspect of your app is perfect. You need a team that won’t need a lot of direction and can handle making decisions well. One important aspect is to make sure that your localization project has and experienced project manager. This will be the person who oversees your project to ensure that each element is handled in a timely and efficient manner. This single point of contact and responsibility will make your project run more smoothly and cleanly. Localization is an important part of getting your app into more hands and creating an empire. The key to the process is to find a team that is able to keep your app looking and functioning will in every regional and locale. You see it every day, but you probably don’t think about it. 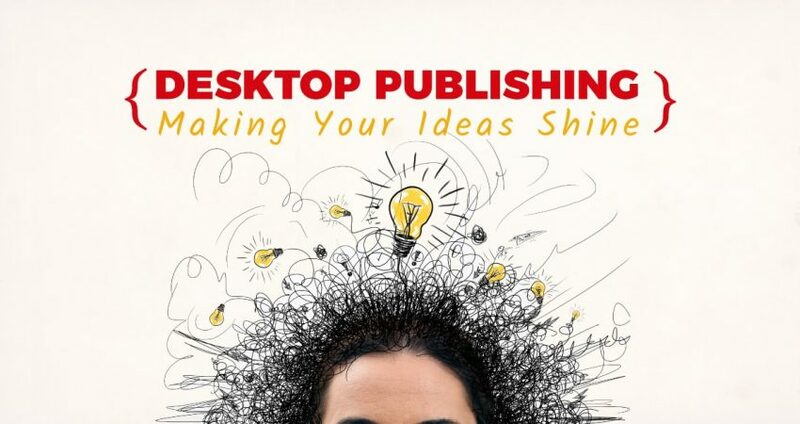 There are literally millions of items in the world that have been created with desktop publishing (DTP). Flyers, brochures, business cards, advertisements, you name it, it’s created with desktop publishing. 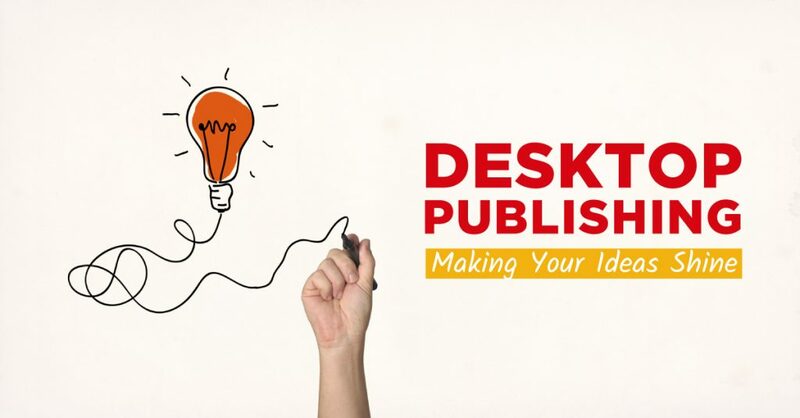 What Desktop Publishing Means to a Business? A professional designer can create DTP items that are amazing. They work with images, text, and layouts that allow you to simply print the item out and it’s look amazing. Not so long ago, to have anything created and printed meant that you had to hire a team. A designer would create it. A layout person would set it up. A printer would prepare it for offset printing. It was expensive and time consuming. Today, a professional designer can use powerful programs and knowledge to create these same items in days, even hours, and have them delivered to you digitally. From there, you can simply hit print on the item and print out right in your office. Cost – Hiring a professional designer to DTP is relatively cheap. It requires that you just know a bit of what you want and hire the right person. What used to take a team weeks can now be done by one person for a fraction of the cost. Responsiveness – If the market or your situation demands, a DTP designer can create something for you that is timely and still very professional-looking. If the local football team wins a championship, a local school gets an award, or a local celebrity gets the big movie role, you are able to have marketing materials that capitalize on the news of the day. Professional – Rather than having something that looks like you put it together on your computer, you can hire a professional to design something that looks amazing and will impress everyone who sees it. Translation – At AfroLingo, we are also able to make sure that your words are translated well. Because our translators are native speakers, they are able to make sure that cultural references will hit the mark along with language that is perfectly translated. The world runs on software. Everything from our telephones to our homes run on software. If your software is to be used by individuals or companies, you need to have it made local so that everyone who uses it feels right at home. Localization is the concept of converting a piece of software from one language and region to another. his definition speaks to the importance of adapting your software to each new language. It’s more than just language though. There is also culture and tone. These might seem like minor shifts, they are important if you’re the person receiving the software. One of the most obvious examples is the difference between American English and British English. If you tell an American to put the box in the lorrey they will stand and stare at you. In the US, they are known as trucks. A machine translation might or might not spot these differences, but a native speaker will spot them a kilometer (or kilometre or mile) away. Look for experience – Every day, a new company enters the field. They come in two types: The kind trying to make quick money and the kind that are made up of professionals. Look for the team that has experience, regardless of the age of the firm that they work for. A technical team – You will want a company that has a technical team that can understand all of the ins and outs of your software. They need to be able to find everything, from the main page to the error pages to the smallest page in your help files. Native translators – Native translators are the people who make sure that your software “goes native”. They can make sure that your software looks like it was written next door not on the other side of the country. The most important person for your needs is the project manager. This is a person who will assemble and guide the team that is localizing your software. They should speak both languages and understand the process. They don’t need to be programmers, but they should have a really clear sense of what your software does and what changes will need to be made. The next thing you need is a plan. The company should provide you with a step-by-step plan. This will be the guide for what to expect. Finally, expect to be a bit flexible. Nothing ever goes perfectly, so plan accordingly. Make sure, especially if your software is your ‘baby’ that you understand this simple idea. Otherwise, you might find the entire process far more stressful than you need it to be. According the Abrahamic faiths, there was a time when all humans spoke the same language. When everyone got together to build a tower that could reach Heaven, God got quite upset and made it so that we can’t easily speak to each other. That’s what a transcription service can do; they can make it so that everyone who needs to hear a speech or video can read it at their leisure. And if they all speak different languages, the document can be provided in their native tongue. You know that amazing speech that the CEO gave last month? Or that video that you need to include into a printed document? A transcription service can convert the spoken words into written words so that you can use them anywhere you want. At some firms, and AfroLingo is one of them, not only can they transcribe the document, but they can also translate it. 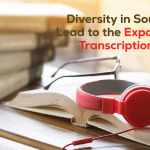 This makes it much easier for you to share the transcription across borders. The world has gone international. Very few things stay inside of a single nation’s or a single languages borders. That means that everything you do will be seen and read by people from all over the world. Let a transcriptionist convert your how-to video into text. This can them be translated so that you can reach even more people. Getting a transcription and a translation firm together makes this process even easier. User’s guide videos – Providing a written version of your helpful videos will make it easier for people to follow along and learn what you are hoping to teach. Corporate training videos – Some folks don’t retain what they see as well as they retain what they read. Transcription is a perfect way to help this group to learn better. Speeches and conferences – In all likelihood, you paid a great deal of money to your keynote speaker. They were great. Now is the time to make a permanent record of that speech by having it transcribed and distributing it to your staff and, as a bonus, to your clients. 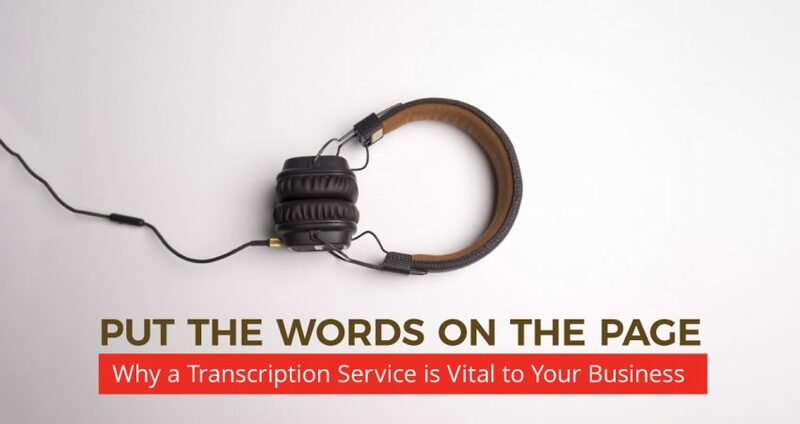 A truly experienced transcription service can make your life much easier and help you make more money. They can also help to create even more loyal customers. In many cases, people think of translators as someone who can simply translate any words, from one language to another. In some cases, this is true. When translating a short story or a personal letter, a generalist translator can be perfectly fine for the project. If, however, a document is highly technical, it can require a subject matter expert to ensure that every word is correctly translated and understood. Nearly all of us have purchased an electronic device that was made in a foreign land. When we open the user’s manual, we found that the translation made no sense. Usually, the manual or guide will sound like it has been simply transliterated and many of the words don’t make sense together or the sentence structure is incorrect. The way to avoid this is hire a translation company that uses in-country linguists who are subject matter experts and able to understand the proper phrases and lingo when translating the documents that accompany a consumer electronic device or a technical document. There are only a few industries where a mistranslated word can cost million of dollars. 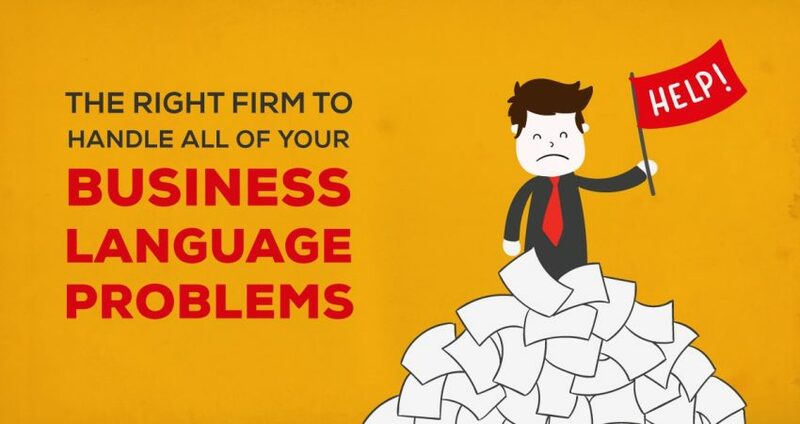 In financial, legal, and corporate documents, a single phrase can cost millions. Even worse, a mistranslated phrase or concept might lead to years of very expensive legal conflicts as the parties try to figure out what happened and how to make it right. The best way to avoid this situation is have an in-country translator who is a native speaker, as well as trained in the specific subject involved. These experts are able to understand the jargon of the financial and legal industries, as well as translate corporate documents to make sure every subtlety is explained properly. Above all of these industries is the medical industry. A mistranslation in this field can lead to injury or death. Imagine that someone mistranslated and simply transposes right with left. Someone might end up losing the wrong leg or hand. If you have any questions, please feel free to contact us at AfroLingo. Even if you don’t choose us, we are happy to advise and guide you to make sure that you get the technical translation services. Anyone with a website and a webmaster account, such as the ones provided by Google, can see that people login form everywhere on the planet. How do you handle this influx to make sure that your business and your website are well represented well? Website localization. This explanation is very telling. “Adapting a website.. To local language and culture…” This is important. The definition goes on to say that the the work involves much more than simply translation. It requires and understanding of the target culture and an understanding of the priorities in that culture. In violation of the rule that says ‘don’t write a blog that is about your business”, we need to use ourselves as an example of how proper website localization is done. 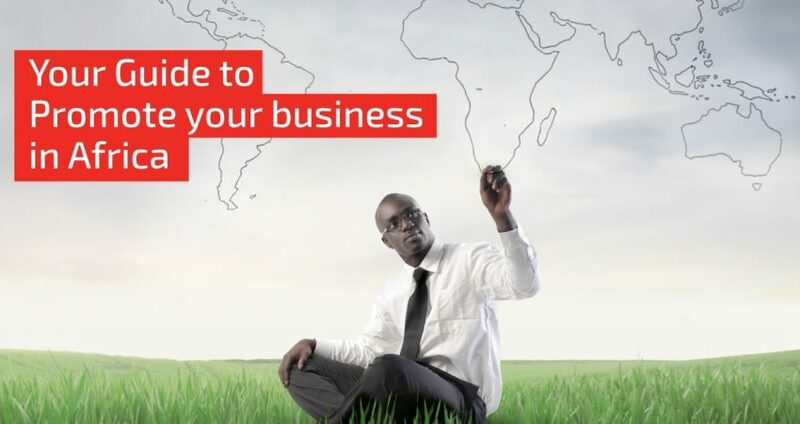 African has over 1000 languages and our firm can do localization in over a dozen of those. We start with the most obvious question, “Can we do this for you?” We don’t work in Mandarin. Unfortunately, we would need to tell that if you called us, but if you want your site to work in Swaziland, we can help you. The languages there are Swati, English, and South African English. Next we assign a project manager. They will gather a team of language translators, programmers, designers, and others to do the work together. Then we start working on changing your entire website. All of this is to make sure that anything that a customer might see in, in this example, Swaziland, looks like it was made just for them. The look and feel of your website will change. It might not be obvious to someone from that country, unless you don’t do it well. 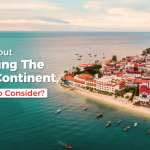 Consider Coca-Cola, one of the world’s most recognizable brand and said to be one of the few things you can find in almost every corner of the world. It might seem strange, but the first thing that you’ll notice is that the images are different. The Botswana website images better reflect the people who might look at the site from Botswana. Those images are different from the American site, even though both Botswana and the US are in English. And the motto in Botswana is “Taste the Feeling”, but the American site doesn’t say that anywhere. Simply put, you need to localize your website to fit the language and culture that you are entering. Translation is not enough, which means that trusting your website to a browser translator is not good enough. Change it to fit the customers you hope to gain. Sometimes, even translation is not done well. When Pepsi translated its slogan, “Come alive with Pepsi,” into Chinese, it didn’t go well. It came out as, “Pepsi brings your ancestors back from the dead”. Creepy! The truth is that human language, even written language, is filled with nuances and details that a machine is not likely to catch. These are the times that you need a human translator. The use of computers to translate documents and webpages started very early in the life of these amazing machines. Today, it has evolved into a massive business and provides free and paid translations billions of times each day. When you click on a website, your browser will often translate it automatically. This power is amazing and allows us to read and see what people all over the world are seeing every day. Machine translations, even for a professional translation company, can be a starting point. It’s the place where the translator can begin the process of looking at what you’re trying to say and help you say it. As mentioned above, though, it has it’s weaknesses. While it might be fine for reading the day’s news in Russia or China or South Africa, it shouldn’t be trusted with business contracts, marketing materials, and other places where lack of precision can cost you a lot of money. Human translation is done by someone taking a source material and converting it to a new language. This is usually done by a professional translator who has been trained and practiced in doing language to language translations well and efficiently. The biggest weakness is that most of us can’t afford to have a translator on call 24 hours a day. If you are a world leader and someone from another country calls, there will often be a translator in between. Those people and that service are available all the time. For the rest of us, we need to plan ahead a bit. 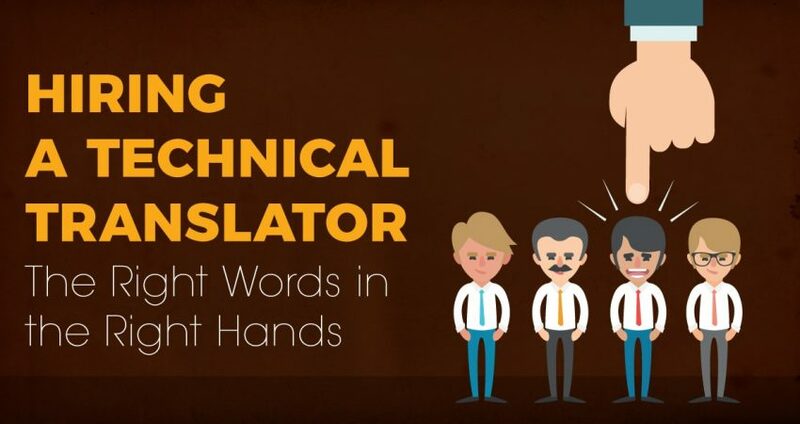 A human translator can take a document, a recorded speech, or even a live event and translate it well. They are able to see beyond the strict meaning of words to introduce nuances and cultural differences that a machine is hard pressed to understand. 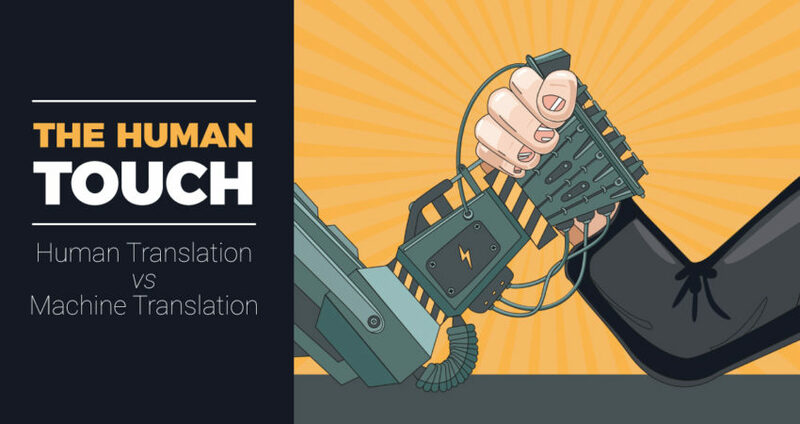 At AfroLingo, we don’t see machine translation as another example of machines taking the place of humans. We see these wonderful tools for what they are: tools to make our work easier and maybe even a bit better. Nonetheless, no piece of translated work leaves our offices without being reviewed for accuracy by a trained translator and a project manager. No professional translation company should allow machine translation be all they do either. Machines and humans can work to bridge language barriers and open up the world to everyone, together. 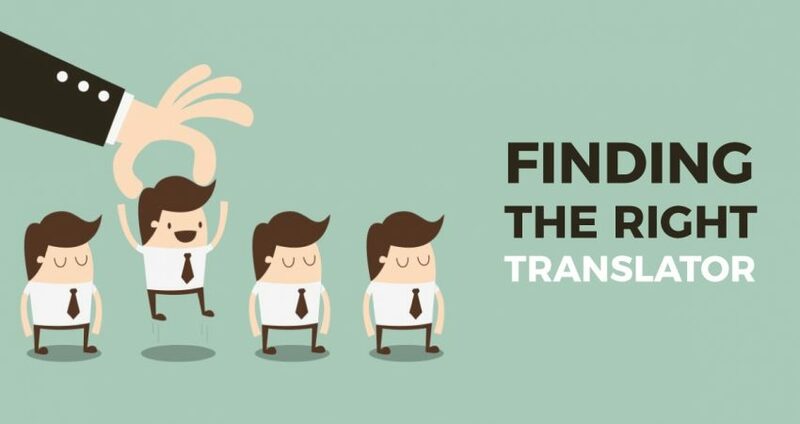 Here is a short, concise, step-by-step guide to finding a translator to meet your needs. 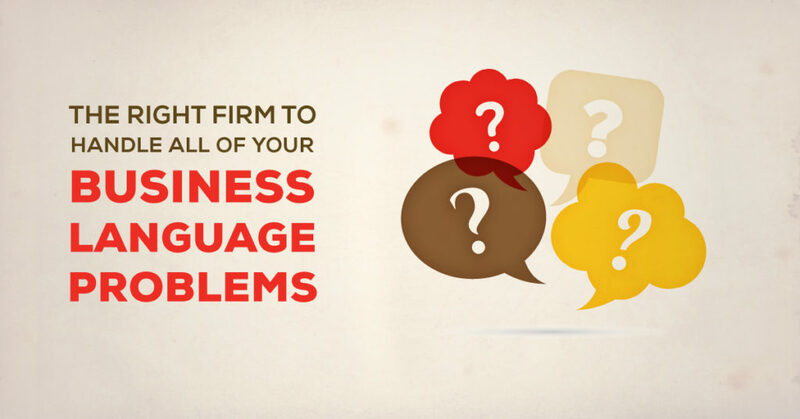 1- Clearly define what you need translated. The skills needed to translate a document are very different from the ones that are needed to live translate a speech. Be very clear on your needs, the size of the project, and what you expect the final results to look or sound like. 2- Set a timeline that meets your needs. If you have no urgent need, that’s fine, but put a final date on it. This will make sure that everyone has a guideline for what you need and when. 3- Look for a firm with native translators. This means that you want someone who lives in the target culture and speaks the target language every day. Someone who learned French from a book speaks a very different form of the language than someone who lives in the Pyrenees or the Central African Republic. 4- Ask for a plan. You should be provided with a plan on how the translation will happen. For example, most translation firms will use some form of machine translation for the initial work. This is a great way to speed the process, but it should be followed by having a human translator review everything. Subtleties, nuances and local vernacular are all different from country to country. 5- Ask for a project manager. If you’re having a single page translated, this might not be important, but if your project is to have a piece of software localized or have a corporate annual report translated, you will want a single point of contact that will take care of everything for you. This should be the person that you deal with. They should be able to speak to you clearly and easily. 6- Look for progress reports. Again, if there is only a single page being translated, you won’t need it, but a project of any size should have progress reports. This will allow you to see what’s happening on your project each week or so. 7- Satisfaction guarantee is a requirement. If the translation is all wrong or it’s delivered three days after you needed it done, you should be able to have a money-back guarantee. This is something that should simply be part of the company’s culture. These are simple steps, but by using them you should do well finding a translator that you will have a great experience with. The actual locating part is a matter of using google and putting in “translation” and the languages you are translating to and from. Look for firm that is in or near the nation where your target language is spoken. The African market is one which many companies deem too risky to invest into, but ever since the world cup took place with South Africa in 2010, economic growth has slowly been on the rise, and in fact in 2009 the continent’s collective GDP was equal to that of Brazil and Russia. In the last couple of decades of the 1990s, economic growth in Africa was steady, if that, it was mostly languishing. But in the 2000s, the continent’s real GDP grew on average by 4.7% per year which was twice the rate of its growth in the previous two decades. That 2009 figure was $1.6 trillion, making Africa one of the fastest expanding economic regions, and that momentum has not slowed down. Political troubles in some African countries such as Egypt, Libya and Tunisia have made businesses tentative about their investments, growth is still slow, and companies admit there are still risks, but the continent still enjoyed growth during the recent global economic recession, where most other continents found the opposite. Africa can no longer be ignored, and the markets are not only growing, they’re expanding. In 2008, Africans spent $860 billion on services and goods continent wide, which was 35% more than Indians spent in the same year. 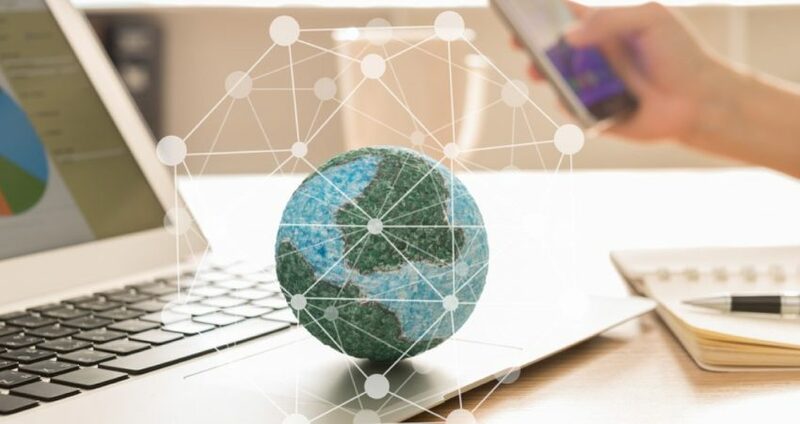 Industries such as telecommunications, banking, and retail are all experiencing exciting growth and new opportunities for economic investors and businesses alike. The reasons for growth differ from country to country, but the rising price and demand for oil, increased interest from international companies, and privatization of some state-owned companies in certain countries have certainly added to the increase in economic scale and the opportunity to be a competitive global market for Africa. 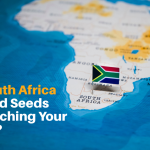 This opportunity is exciting for businesses around the world, as well as locally, where insight into the culture of African markets can only be a bonus. In order to really succeed in the markets in Africa, you really need to fully understand the cultural environments of the different markets in the different countries. For entry into a new global market anywhere in the world, a business always has to pick the right entry strategy, and in this case the business will need not only to consider the industry, but also the country, its culture, history and language. Africa is a tricky market, and while the continent is growing, it is still not without its risks. Always ensure that you have considered each business transaction with the head of a pessimist, and insist on using cash for transactions wherever possible. The most important cultural lesson to consider when investing in Africa is the three Ps of African business: Patience, Pensiveness, and Perseverance. Always be patient, but don’t be a pushover. Think carefully and consider your opportunities before diving right in. And without being aggressive, make sure you get the result that you want, when you want it. The continent of Africa has the highest linguistic diversity in the world, with between 1,500 and 2,000 languages spoken across its countries. These languages not only include spoken languages and dialects, but also sign languages and other forms of communication which are native to the regions. You will find some European languages dotted around, particularly in the North and the West, but an investor into the continent could not get by with English alone. That’s where translation comes in. In order to succeed in the African markets, you will need to appreciate the cultures around you and have the ability to communicate in native languages. 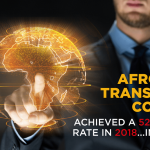 AfroLingo is a translation company in South Africa which offers a wide range of services which can help you to successfully enter into the African marketplace. In the international marketplace, particularly one which is emerging as fast as Africa is, you need a reliable partner to help guide you through tricky communication process, and that is what AfroLingo is here to do. Muhammad Ali said “I run on the road, long before I dance under the lights,” and in relation to doing business in Africa, it’s going to be a long run on the road before you can start dancing. There will be some challenges along the way, particularly because you’ll be dealing in a market which is very new to investment and interest. 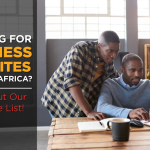 Establishing a business in Africa can be expensive, particularly thanks to the average income per capita, and red tape such as construction permits and registering property will see you run into competition and strict rules, put into place in the interest of public safety. You will also need to remember that Africa is not just one country, and so taxation laws differ, as do cross border trading policies. You’ll also find that, you might have trouble finding skilled workers, although people willing to do labor are abundant. Local customers will differ from region to region, and so before setting up your business you’ll need to really understand who your consumers will be and what they will really want. Most importantly, remember that African people are relatively new to having investment from international companies, so tread slowly, don’t try to change everything at once, and earn yourself some new consumers for giving them what they want.